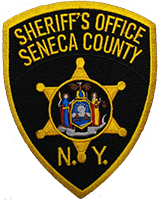 On October 24, 2018, at about 4:27am, Seneca County Sheriff’s Investigators arrested Derais D. Davis, age 44, of 80 West Bayard Street, Seneca Falls, New York, on a charge of Tampering with Physical Evidence, a Class E Felony. The charge stems from an investigation that originated at a Town of Tyre business where Sheriff’s Deputies responded to the report of a stabbing. Upon their arrival, a female victim was found with knife wounds to the arm and the male suspect, Davis, had fled the scene. The victim was transported by North Seneca Ambulance to Geneva General Hospital where she was treated and released. Sheriff’s Investigators met with the victim, but she declined to pursue any criminal action at this time. The vehicle involved in the incident was located a short time later and it was learned that Davis allegedly attempted to clean the blood from the interior and exterior of the vehicle in an attempt to conceal it from law enforcement. It is further alleged that Davis discarded bloody items in a dumpster in the Village of Waterloo. Davis is currently being held at the Seneca County Correctional Facility awaiting arraignment in the Centralized Arraignment Court. The case remains under investigation. The Seneca Falls Police Department and Waterloo Police Department also assisted in the investigation.